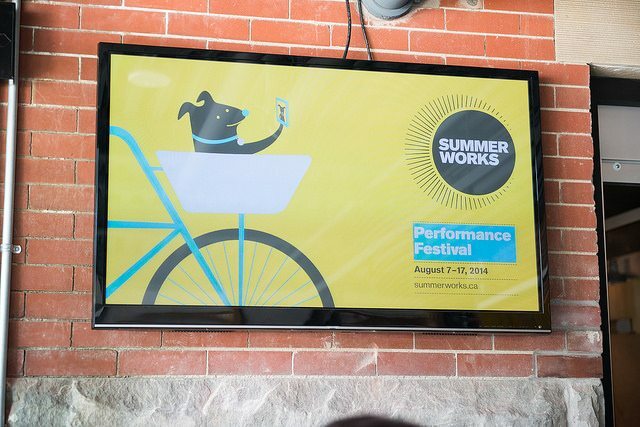 The SummerWorks Performance Festival is in full swing, and Torontoist reviewers have been busily taking in the festival’s offerings since it opened last week. We’ve seen some terrific live music collaborations featuring bands Weaves and Army Girls and choreographer-dancers Allison Cummings and Cara Spooner; we’ve chased strangers across the city for The Stranger Part 1; and we’ve watched a family create a performance in the same space in real time for hours on end in Fathers and Sons, one of several durational performance art pieces at the festival. These genre-bending experiences and projects continue throughout SummerWorks, as do the juried series of theatrical projects that form the backbone of its programming. Our writers have seen all of those plays, and have picked our favourites to help you navigate the festival. Most are approximately halfway through their runs (there are still some projects, including a rock opera collaboration between Maggie MacDonald and The Bicycles, that have yet to open), so we recommend booking your tickets sooner rather than later. Photo courtesy of Dahlia Katz/SummerWorks. This is the fifth and final year of the SummerWorks Musical Works in Concert series, which will continue independent of the festival. When it started, there wasn’t much musical content in the festival’s main juried series, but that’s changed. This year, there’s a doomsday musical (And Now, the End), a mariachi opera (El Jinete), and Macaratu You!, a piece that celebrates a form of Brazilian music made popular in Toronto by Juno-nominated musician Aline Morales, and by several local groups. 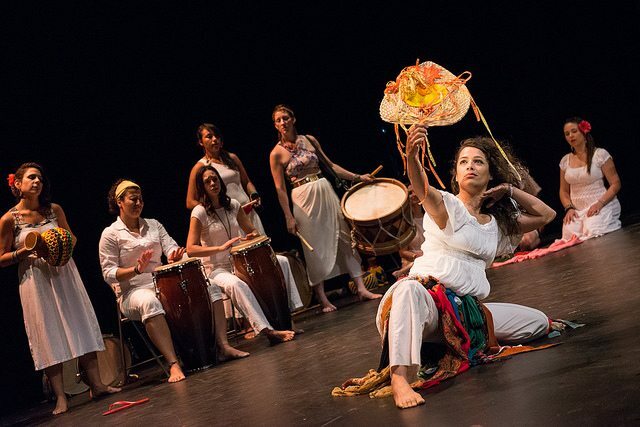 Morales leads the mostly female collective on stage, and while theatrically the show could be improved (some segments drag), the collective’s enthusiasm is infectious, and the music uplifting. As a performance art piece, it’s a success—and is likely to win the music group new converts as the run continues. Tawiah Ben-Eben M’Carthy and Aviva Armour-Ostroff. Photo courtesy of Leora Morris. South Africa’s racist legal practices under apartheid are made devastatingly personal in this account of the imprisonment of Duma Joshua Kumalo, who spent years on death row for a crime he didn’t commit. The piece, informed by playwright Yaël Farber’s friendship with Kumalo, is now in the midst of its Canadian premiere run. 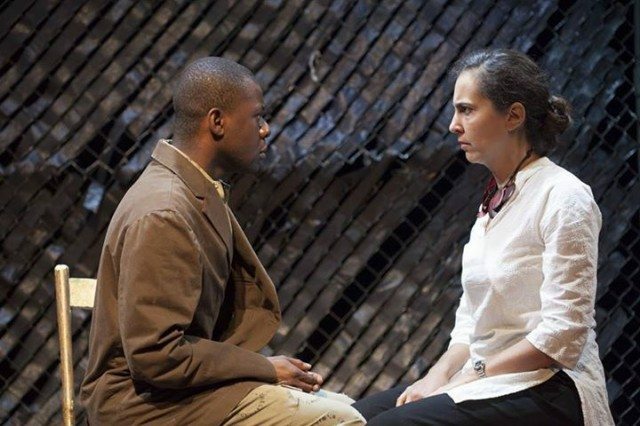 Aviva Armour-Ostroff is Farber’s stand-in onstage and an older Kumalo (Conrad Coates) provides narration, while his story of hardship and survival is acted out by Tawiah M’Carthy. Armour-Ostroff’s character increasingly spotlights the complicity we all have in past atrocities, and both she and Coates push through the worst of his past to find a way to honour the many men he was imprisoned with who were ultimately wrongfully executed. As young actors fresh out of theatre school more than a decade ago, Anthony Johnston and Nathan Schwartz wrote a letter to a “gay conversion” outfit proposing it fund their play about homosexual desire (and a wolfman), and were surprised to receive in response an invitation to workshop the play at its retreat. The two friends accepted, with the intention of pranking the “pray the gay away” folk, but found keeping up the facade—and working on their fake play—harder than they anticipated. Years later, they attempted to make sense of this complicated experience and the ambivalent emotions it provoked by creating another piece of theatre, A Quiet Sip of Coffee. There are meta elements here that muddle the story somewhat, but the two are engaging and funny as their carefree younger selves, and as the men they met at the retreat. The boy-meets-girl formula gets torn to shreds in this riveting story of love—and love’s terrible costs—set in contemporary Iraq. Nour, a widow whose first husband died in the Iraq War, is ready for a fresh start, and she’s got her eye on her cute Shakespeare teacher, Samir. But the couple’s covert dalliance takes a turn for the horrifying when both parties encounter obstacles that could threaten their lives. 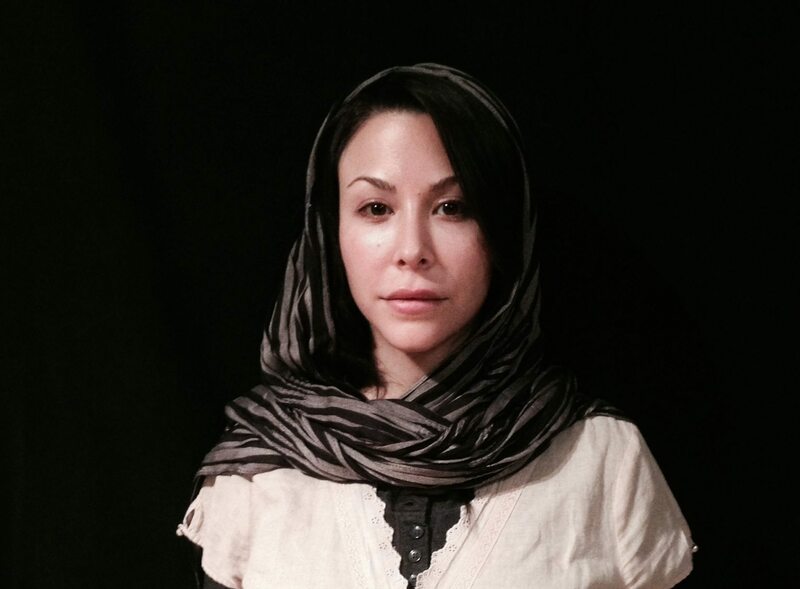 Playwright Amir Al-Azraki crams a lot of drama into one hour, but keeps his script tight, ably illuminating the political, religious, and social complications that pervade Iraqi life. Nessya Dayan (Nour) and Christine Aziz (Samir’s mother) are especially moving as two women with few options but great strength. Against Gravity is less a play than a vivid dream shared between audience and performers. Crowd participation is a big deal in this show, more so than in most plays—and the more you put into the experience, the more you get out of it. The audience itself is almost a third cast member, or at least another of the puppets deftly manipulated by the playwrights. 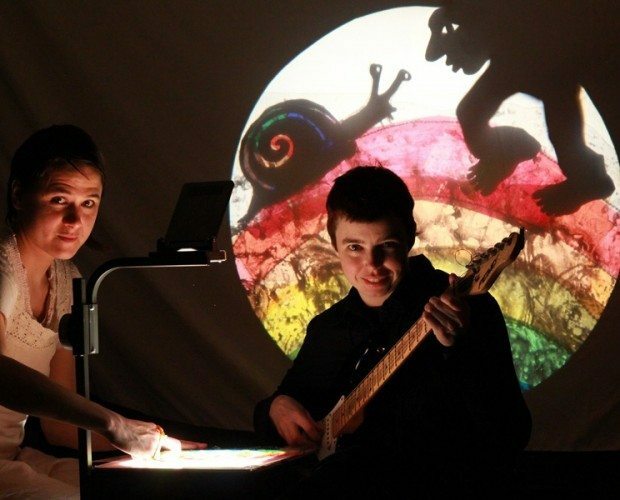 Those not keen on participating may find Against Gravity a bit off-putting—but theatregoers open to the concept will discover a use of light, overhead projection, stencils, and colour that is sometimes funny, sometimes simple, sometimes beautiful—and always delightful. Staring into The Container. Photo courtesy Dahlia Katz/SummerWorks. If physical comfort is critical to your enjoyment of theatre, The Container is not for you. 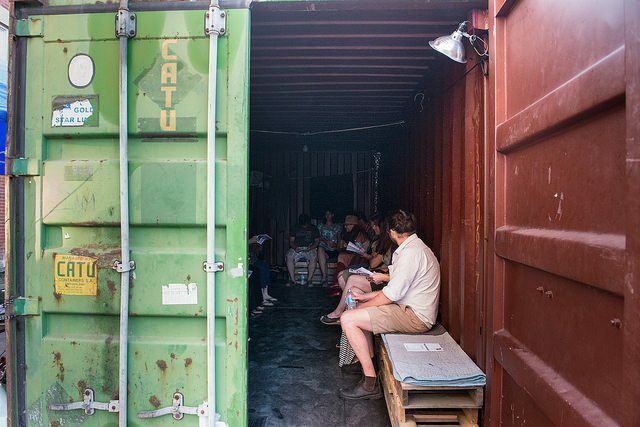 Packed within a metal container with the cast, the 20-member audience experiences first-hand the unpleasant conditions of human smuggling—the oppressive heat, body odours, and rising tensions—as the nerves of the characters fray. The sound design feeds the sense of entrapment, heightening the unease among actors and viewers. Through the pain they convey, the cast sheds light on the cruelties inflicted upon refugees desperate to start life anew in the West. Janet Lo (foreground) and Samantha Wan (background). 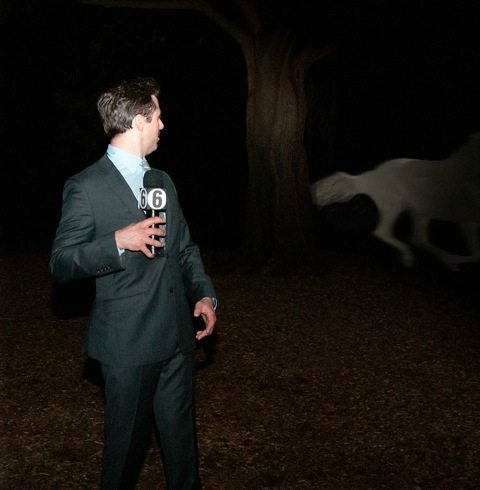 Image courtesy SummerWorks. As the wife of Mao Zedong and a key player in the horrors unleashed during China’s Cultural Revolution of the 1960s and ’70s, Jiang Qing was the most feared woman in the world. As portrayed in Madam Mao, she never lost her flair for the dramatic (present from her youth, when she had a career an actress) deluding herself that the evil she did was for the greater good. 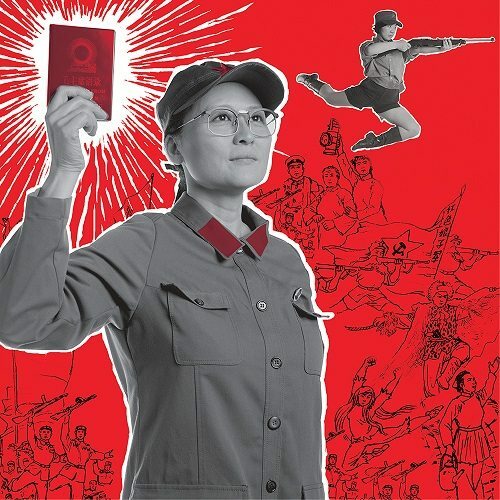 Janet Lo’s performance captures the human elements lurking within the monster, while Samantha Wan plays multiple roles, portraying the rage of Jiang’s victims through skilled choreography (including dances with rifles) evocative of the era. A darkly satirical take on television news coverage of disasters, Tragedy: A Tragedy begins with hilarious jabs at the form. Will Eno’s script is loaded with the kinds of clichés and empty content to which we’re subjected by reporters desperate to fill air time while a crisis slowly unfolds. The cast handles the descent into absurdist territory well, conveying how unhinged each character becomes as the situation develops. In the end, the real tragedy is how we encounter dealing with oblivion and the sense that nobody is listening to us. Set in the shrinking seaside town of Rockport, New Brunwsick, The Water Thief is a video/performance hybrid that tells the story of a solitary old man whose job is to keep time moving forward while keeping the memories of deceased town residents alive. This part of his life is presented in 2D, projected onto a thin white curtain. But soon characters from the past start reaching out to him from behind the curtain, ingeniously adding a literal third dimension to the piece. With an atmospheric live soundtrack created by Snowblink’s Daniela Gesundheit, the sights and sounds of The Water Thief overcome the story’s occasional incoherency. More blanket forts in the theatre, please! The designer of Unintentionally Depressing Children’s Tales (and former Torontoist illustrator) Roxanne Ignatius turned the Lower Ossington Theatre Studio into a delightful space covered with blankets and pillows. 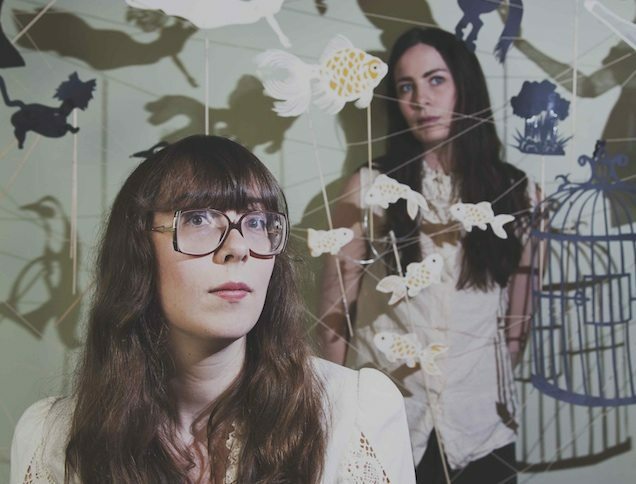 The shadow play’s handmade puppets, designed by Sarah Fairlie and writer Erin Fleck, are equally whimsical, and some, including the gorgeous puppet of a young female ghost that haunts an underwater ballroom, even become temporary works of art on the walls. Fleck’s titular tales are breezy and fun—not as dark as some children’s tales can be—but lacks a unifying theme to hold the production together. Ever since Canadian Stage’s hit Venus in Fur, it seems deity-inspired love stories are all the rage in Toronto theatre. Right on time comes this fast-paced two-hander by Australian playwright Van Badham, performed by Ron Pederson and Daniela Vlaskalic, about an unassuming artist named Marion and her bad luck with “attractive men.” First she meets Michael, a married colleague at a museum, and her plan to retreat into a life of spinsterhood once their affair goes sour is upturned by another man, who turns out to be more than he first appears. Pederson and Vlaskalic have chemistry both comedic and sexual, and director Vikki Anderson holds tightly the reins on her performers as well as on the rapid-fire script.